MUSA CHALLENGE – Annual Tournament! Coming up on Saturday April 27th an interschool tournament will be held in Minneapolis. This event is open to ALL Hwa Rang Do and Tae Soo Do practitioners of all ages, and many practitioners from around the Midwest region are expected to compete. There will be divisions for children through adults of ALL ranks, so prepare for an exciting day! The title of this event is the “Musa Challenge” and the term “Musa” in Korean means warrior (or more literally “martial person”). This event will challenge all participants on their total package of skills, as there will be competitions in forms/basics, weapon forms, sparring, grappling and weapon fighting. Train hard, and prepare for an great day of Hwarang action! Everyone is encouraged to compete all divisions so you can gain experience, evolve yourself, and gain skills in all areas of Hwa Rang Do and Tae Soo Do. BE A COMPLETE MARTIAL ARTIST! The Rules of the tournament will follow standard WHRDA MASTERS Rules for all divisions. Hwa Rang Do Sparring will be using the new “Continuous Round System” for matches with both juniors and adults! Please make sure you are familiar with the rules for the divisions you wish to participate in. Also remember that you must have ALL REQUIRED equipment for sparring, grappling, and weapon fighting matches. While Grappling uniforms are STRONGLY recommended for all grappling divisions, they are not required for “Positioning” divisions, however, yes they are required for “Submission” divisions. * The order of events will go as listed above, please make sure to listen for your division announcements and be ready to participate when your specific events are called. If you miss your event or do not have your equipment prepared, you will not be allowed to compete nor be added late to an event. * The entire tournament will take most of the day, and Adults MUST be ready to compete starting at 1:00pm. * This is an interschool tournament between Tae Soo Do and Hwa Rang Do students only. * People from out of town are welcome to stay at the dojang, just confirm with us if needed. 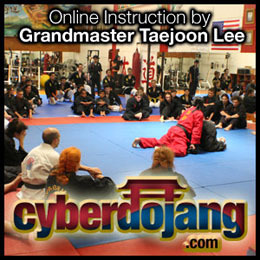 * Must Have all required equipment for Sparring, Grappling, & Weapon Fighting matches – NO EXCEPTIONS! * This tournament will follow WHRDA rules for all divisions. registration form. It is PDF format. *Junior Form Events will likely be additionally divided in further increments of age/rank on tournament day depending on how many competitors register in each division.